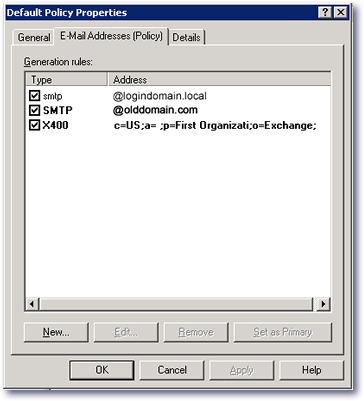 I had to add a new e-mail domain for a client to their existing 2003 Small Business server. 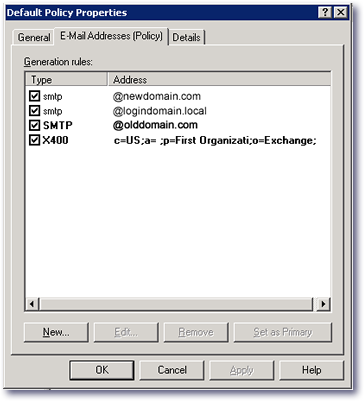 Without removing the existing mail domain and without going into each user here are the steps I went through to add the new mail domain. 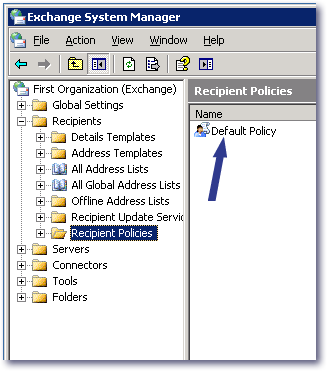 After clicking on the “Default Policy” it’s properties window should open. 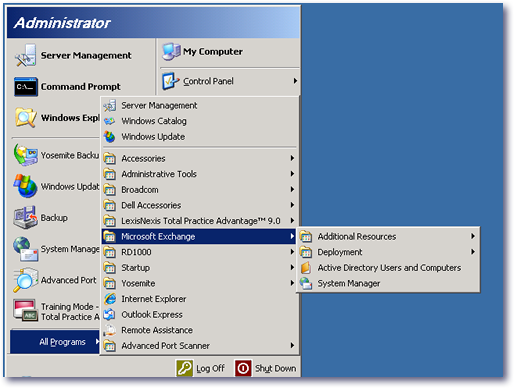 In that window you will see three “Tabs” (General, E-mail Addresses (Policy) and, Details) Click the E-mail Addresses (Policy) tab. There you will see the current list of domains. To add your new Domain, click the “New” button at the bottom of the window. After you click “New” another window will open showing a list of options. 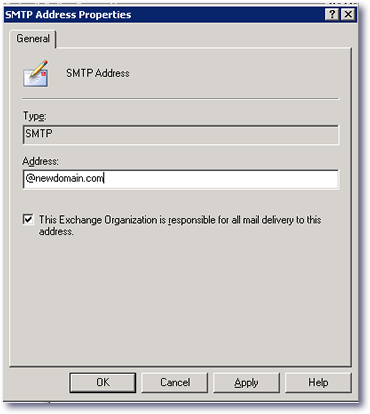 Selecte “SMTP” from the list and click “OK”. In the next window you will type your new domain. Make sure and include the “@” infront of the name. Also, make sure the box is checked beside “This Exchange Organiztion is resposible for all mail delivery to this address.” Click “OK” to continue. 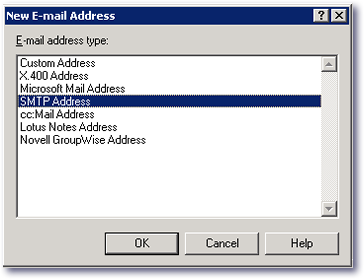 “The e-mail Addresses of type(s) [smtp] have been modified. Now, if you have set-up the DNS correctly, you will be able to receive mail on this domain to all existing mail boxes. No Problem. Thanks for the visit!